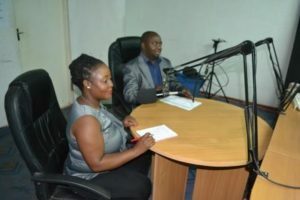 This news website www.csjnews.org is run by the Centre for Solutions Journalism (CSJ), a non-profit human rights organisation incorporated in the African nation of Malawi. CSJ is registered with the Malawi Government, the Malawi NGO Board and the Council for Non Governmental Organisations of Malawi (CONGOMA). We promote human rights through advocacy, civic education, community outreach programmes, stakeholders’ engagement, professional solutions journalism and behavioural change communications. Dissemination of news about best practices and offering solutions to social, economic and developmental challenges. Building capacity of media practitioners by supporting and organising training which centres on promotion of human rights and good governance . Providing a fact-based and editorially independent forum, free of bias through dissemination of human rights and good governance information. Building capacity of community leaders on how they can lobby for law and policy reforms; and solve human rights and good governance issues . Capacity-building: We empower community leaders to advocate for law and policy reforms. Content Production: We produce content for television, radios, print and online usually disseminated by our partner media houses. We disseminate success stories so that others can learn from them. We also commission journalists to write stories, features and produce documentaries. Networking and Partnership: Disseminating best practices hinges on networking and working with partners who are implementing various policies. All our partners should strive to create a better world. Community Involvement: We directly work with grass-root communities. Some of our projects involve working with local communities in advocacy campaigns sharing and general community empowerment. The organisation has an independent Board of Non Executive Directors from diverse backgrounds who supervises management in project implementation. The Management Team oversees daily operations of the centre and reports to the Board of Directors. The management team is led by a management and media strategist Brian Ligomeka who previously worked for Times Group Malawi as Chief Editor. He also served as Malawi Independent Contractor for BBC Monitoring Unit, stringer for Germany’s Deutsche Presse Agentur and correspondent for South Africa’s News24. He is a holder of a Masters in Business Administration and a Bachelor’s Degree in Mass Communication. Our governance instruments include a number of policies. We rely on support from various partners. We are able to achieve alot because of our relationship with various partners.